NATO must return to its original goal of fending off Russia, seizing the chance presented by the Ukrainian crisis to sever Europe from Moscow and move it closer to America, the US secretary of state said. Or else the bloc’s global leadership may be lost. “After two decades of focusing primarily on our expeditionary missions, the crisis in Ukraine now call us back to the work that this alliance was originally created to perform,” Kerry told the audience. “Together we have to push back against those who try to change sovereign border by force. Together we have to support those who simply want to live as we do,” he added. Kerry didn’t mention NATO’s own operations against Yugoslavia, which helped change sovereign borders in Europe. But he said NATO must not allow the situation continue to develop as it is, because Russia is challenging the position NATO members held since the end of the Cold War. “Our entire model of global leadership is at stake. If we stand together, if we draw strength from the example of the past and refuse to be complacent in the present, then I am confident that NATO, the planet’s strongest alliance, can meet the challenges, can absolutely take advantage of the opportunities that are presented by crisis,” he stressed. 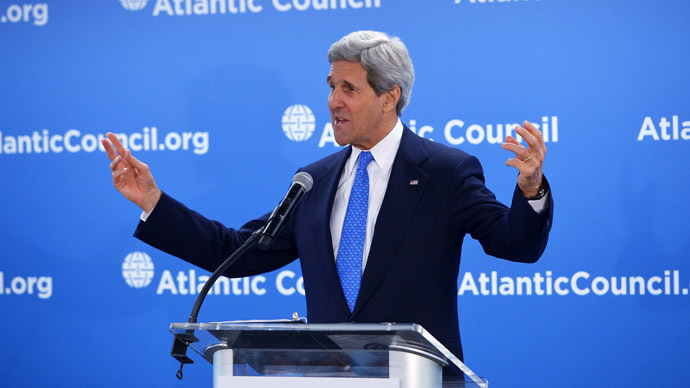 Kerry suggested three points on how trans-Atlantic partners can preserve their leadership and contain Russia. He said all NATO members must comply with alliance’s benchmark of 2 percent GDP defense spending, which is not observed by many European members of the alliance, including European economic powerhouse Germany. NATO members must also help Europe reduce its dependence on Russian energy and develop economic ties with America by speeding down the pipeline the Trans-Atlantic Trade and Investment Partnership Agreement, Kerry said. The agreement would certainly give more access to European markets to some US corporations, as it would require freeing up European regulations on things like fracking, GMOs, copyright and finance. 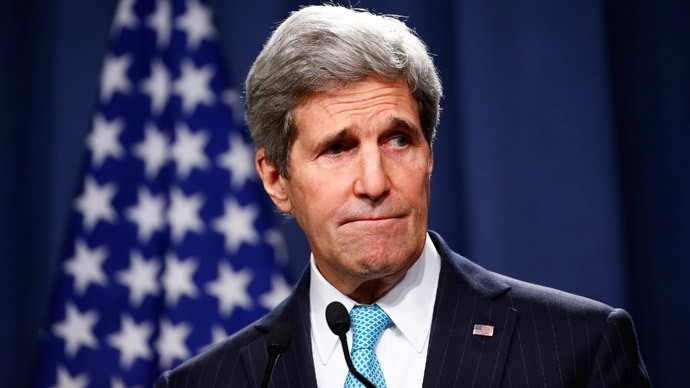 Kerry’s policy remarks are in line with those made recently by some other members of the US political establishment. For example Senator John McCain, one of the most vocal critics of Russia, went on the same lines of presenting Russia’s stance on Ukraine a personal choice by President Vladimir Putin and calling for more defense spending in Europe in his speech at Vilnius University, Lithuania, on Wednesday last week. 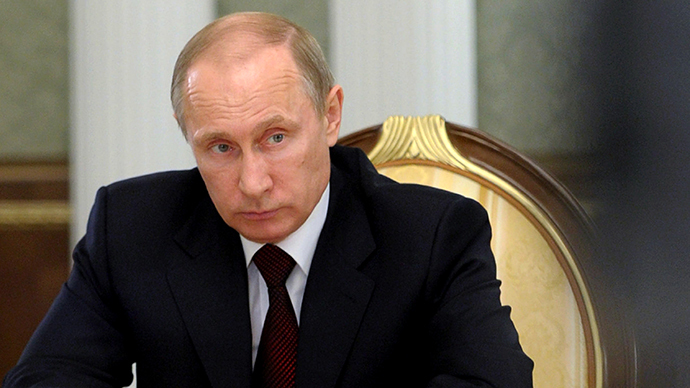 The US and Russia have been trading accusations of meddling with Ukrainian crisis lately. 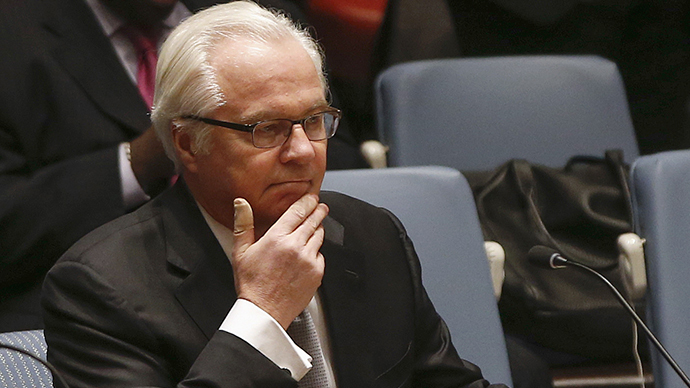 Washington says Moscow is sowing dissent in eastern Ukraine, fanning up anti-government protests there. Russia says the US sponsored the February coup in Kiev, which brought into power the current Ukrainian central authorities and has been playing a dominant role in defining the policies of the new government.